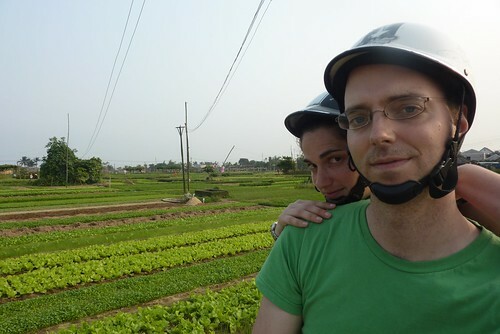 I’ve posted pictures from our recent trip to Vietnam, highly recommended if you like street food, motorbikes, and rice paddies. Visa-on-arrival is definitely the way to go. I spent a week trying to call the embassy to arrange a regular visa and got nowhere. 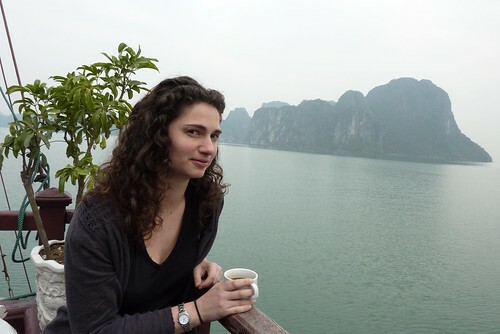 Then I went to Visa-Vietnam.org, filled out a form, and 24 hours later I had all my paperwork. And, for some reason, it’s cheaper than a regular visa. The only “catch” is you have to stop at the office at the airport to pick up your visa before you go through passport control. It added a grand total of maybe 10 minutes to the process. It will surprise no one, having been featured on international television and hyped to death on the Internet, but Phương’s bánh mì in Hoi An really is the best I’ve ever had. It’s very different in style and flavor from the classic New York bánh mì—less emphasis on crisp veggies and cilantro, more layers of meaty flavor, with an ingenious fried egg on top. 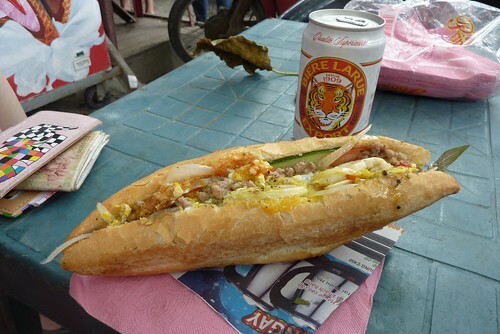 Oddly, it was the only bánh mì we had in Vietnam that could hold a candle to Ba Xuyên (although, of course, there was embarrassment of other kinds of delightful food).